Android Tools Collection 2019: Hello guys, the tool which I am going to share with you are an amazing tool having lots of and all working features and function. I am sure, you are will blow away by reading the features of the tool, I am not going to pin down all the features, it is impossible to write down every feature of the tool, but surely going to write some famous use and top-rated features. The name of the tool, Android Tool collection 2018 (All In One FRP Unlock Tool/IMEI Tool), having about 17 tools in one place, it would be a shop of tools having almost every feature, you can fix every problem by using it which you surely going to face in your Android life. Use of the tool is pretty simple, you are going to use it like what you had used others tools, can connect your mobile phone directly, can get to know the basic information, hardware, software info and much more like that. 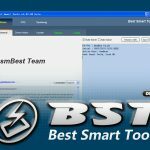 There is a collection of tools you can have all these on your computer screen, just click on any, to use the tool after connecting your mobile phone. There is not a restriction, what you are going to connect, it can be a Samsung device, Lenovo, Google Nexus, Huawei, Oppo, Nokia and much more like that. Android tool collection is an amazingly magical tool, gathered with lots of useful easy to do features. You can have all these by just downloading it on your computer, installing on your computer and connecting your mobile phone. You can remove the FRP lock of the any mobile phone; you know the problem when you get locked by FRP lock. So, any phone either it would be a Nokia, Samsung, Xiomi, Qualcomm, Oppo mobile phone. You easily can remove the FRP lock of any of those phones, just connect that phone, and if you do not know how to unlock the FRP lock, you can read here at this website, we already had provided you many tutorials to remove the FRP lock by using tools. 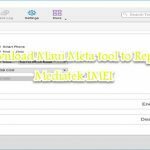 You can change the IMEI number of your mobile phone; this tool got the special features in changing the IMEI number of the phone. No matter what mobile phone or brand you are using, it will do the job efficiently. The other special features of the tool are to remove the lock of the phone; either you phone lock, SIM lock or country lock easily fetches and removes that lock. Other basic and most useful features are Ghost push killer too, Oppo model finder tool, MAD unlock tool, Mi account Unlocker tool, SRS Samsung tool and AIO front installer tool. You can have all these tools on your screen, can click on any of the icons, and can easily remove the issue in your Smartphones. So, tap the download button and download Android Tool collection 2018 from the link below, hope the link would be working fine, if not then help us by commenting down in the section, we would appreciate your suggestions and will update the download link as soon as possible.